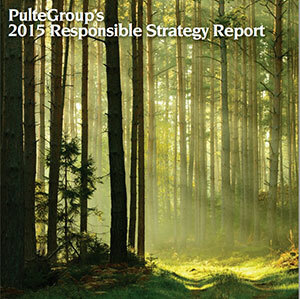 PulteGroup’s Responsible Strategy Report is designed to serve as a benchmark for our economic, environmental and social sustainability practices. 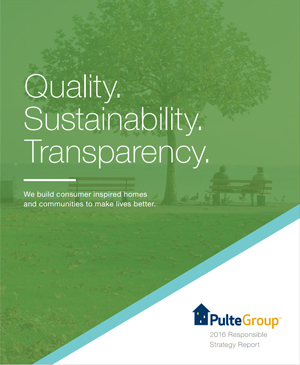 The report highlights some of the key initiatives and projects the Company has launched which we believe are representative of our commitment to implementing sustainable business practices. 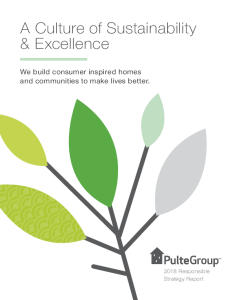 In addition to listing tangible actions, this report is meant to serve as an engagement tool for promoting ongoing discussions with all of our key stakeholders on the opportunities and challenges surrounding the complex issue of corporate sustainability.